See your Service Advisor for details. Not valid with any other offers.Must present at time of write up. Limit one coupon per person. Does not apply to prior purchases. Other restrictions may apply. Void where prohibited. Please present at time of write up. Cannot be combined with any other offer. See advisor for details. Keep your Kia running like new! Whether if you're a new or long-time owner of a Kia in southern California, then you can expect to find a rotating array of excellent service specials and savings in our service center. 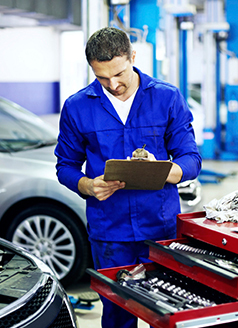 The team of mechanics here at Penske Kia Chula Vista understands that some services or repairs can take precedent over others, which is why we're eager to offer auto service discounts to our customers throughout San Diego, El Cajon, and National City. What car service coupons are offered? 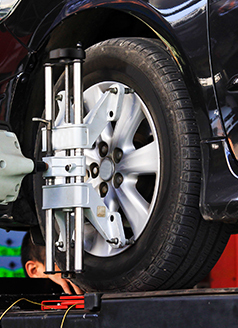 From express oil changes and reliable part replacements to thorough inspections and a free one day car rental for certain services, we're determined to be your go-to destination whenever the need for maintenance or repairs comes up. The car service specials change frequently so check back often! If your search for an exciting discount doesn't turn up immediately, then you can certainly expect a new assortment of deals to appear in the near future. We're focused on offering local drivers consistency with our service specials, and the only way to keep up to date with them is to routinely check back on this page. Are you interested to see how much these auto service coupons can save you and your vehicle during a future appointment in our service center? Simply plan your visit to our showroom location in Chula Vista today and we'll get to work for you in no time!